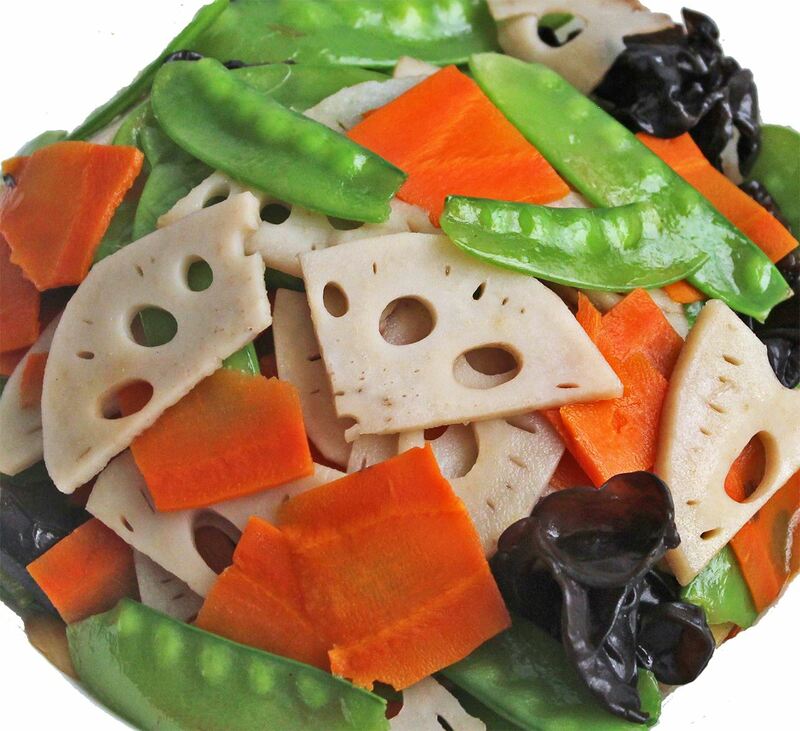 This crunchy, bright colorful dish is a definite decoration on your mala spicy table, with better taste than a raw salad. 2Heat cooking oil over high heat. Stir garlic and green onion until frangant. 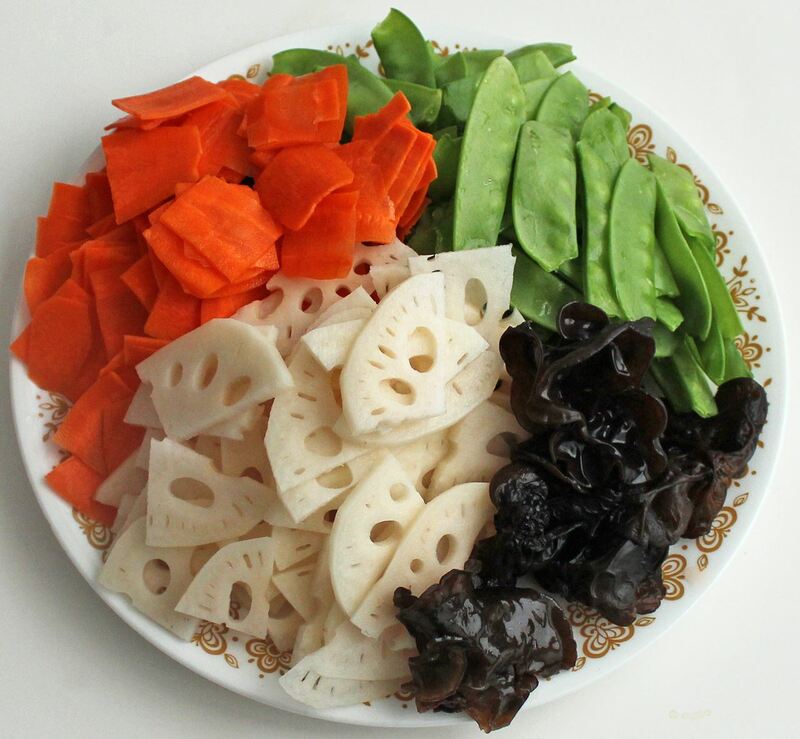 Stir in carrot and lotus root slices for about 3-5 minutes. 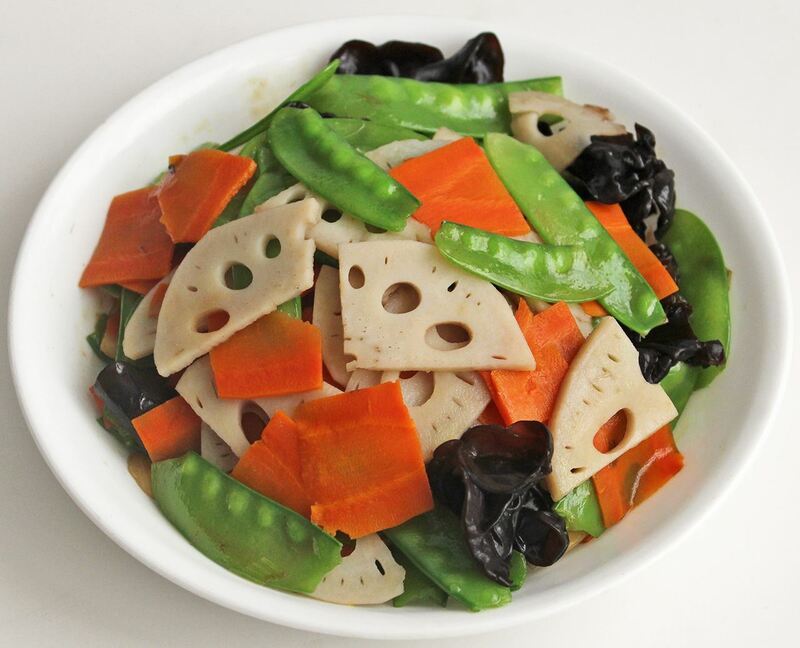 Stir in black ear and snow peas for 1 or two minutes. sprikle salt.